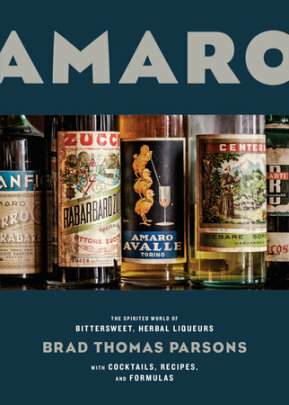 Amaro by Brad Thomas Parsons would make a great Christmas present for any cocktail connoisseur. This history of bittersweet and herbal liqueurs is informative and beautifully photographed. Besides the history lessons, Parsons includes no less than ninety different cocktail recipes. (Yep, I counted them all.) There are the traditional and more recognizable classic cocktails like the Aperol Spritz, Negroni, and the Boulevardier. But, I was more drawn to the names of the “modern” ones: Bartender on Acid, Eeyore’s Requiem, Thistle and Weeds, and the Full Monte. He also provides five recipes if you want to infuse your own amaro. To round out his book, there’s “The Bittersweet Kitchen” with recipes for Drunken Affogato, Amaro-Spiked Milkshakes, Amaro-etti Cookies, and Barrel-Aged Fernet Maple Syrup (to name just a few). Just as soon as I order some gentian root and white pine bark, I will try my hand at his Winter Spice Amaro (229) which also includes multiple kinds of citrus peels, anise, cardamom, juniper berries, mint, cranberries, and dried figs. I would love to give an amaro infusion in a beautiful bottle along with this book to my favorite imbiber. I received a complimentary copy of this book from Blogging for Books for this review. All opinions, exclamations, gushing and rants are my own. For my other Blogging for Books reviews, click here. Since I couldn’t track down all the ingredients for my winter amaro, I decided to post this recipe instead. 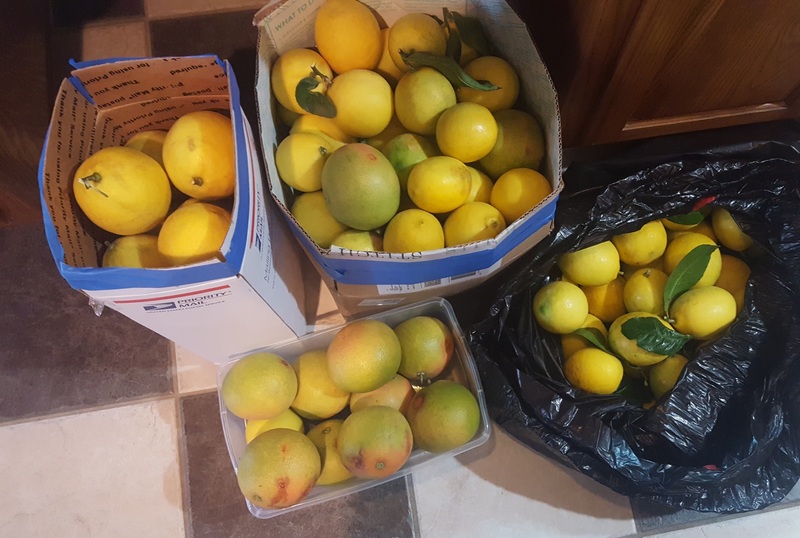 We brought back over fifty pounds of citrus from my in-laws backyard orchard. We visited them (in the Houston area) over Thanksgiving. We picked our fill from their two lemon and two grapefruit trees. 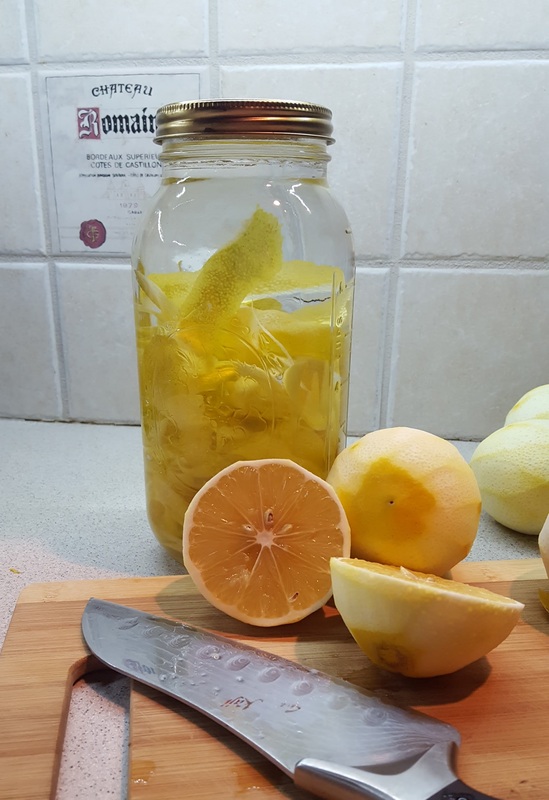 So instead of a bittersweet or herbal liqueur, I am posting a Limoncello recipe today. The original recipe can be found here. I basically just multiplied it by three. Note this recipe takes over 30 days to complete. 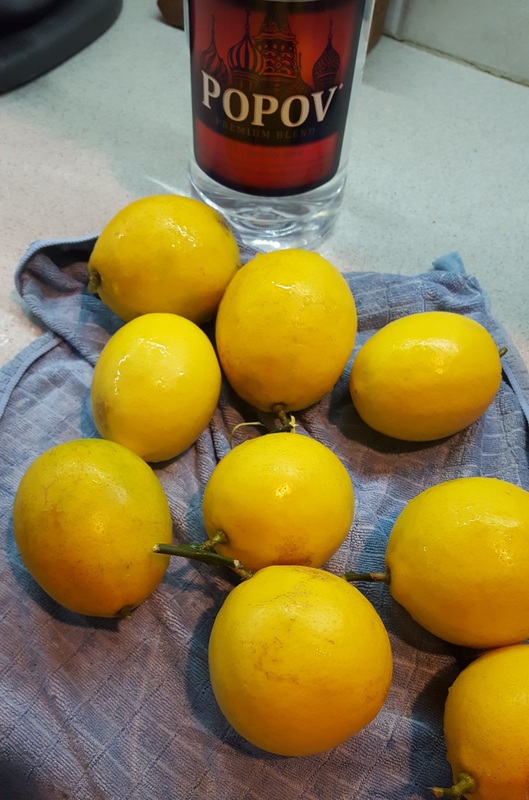 Use large lemons and cheap vodka. Peel the lemons with a vegetable hand-peeler, being careful to strip only the zest and as little of the white pith as possible. Place the lemon peels in a half-gallon jar. Pour the vodka over the zest. Seal the jar, shake well and store at room temperature in a dark cupboard for 30 days shaking the jar once a week. 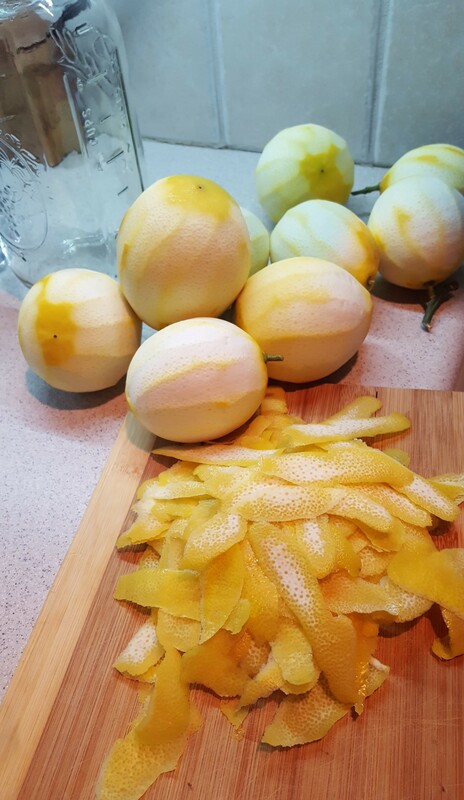 When the lemon peels look very pale, almost white, you’re ready to proceed with the recipe. When the mixture has infused, make the syrup. Place the sugar, water and lemon juice in a saucepan and bring to a boil. Reduce heat and simmer for 2 minutes until the sugar has completely dissolved and the syrup has slightly thickened. Cool to room temperature. Open the jar containing the lemon zest and vodka and pour the syrup into it. (My half gallon jar is full so I will need to transfer the zest mixture to a larger jar before I pour the syrup in.) Seal, shake well and store at room temperature in a dark cupboard for one more week. Strain the liqueur through a fine cheesecloth (or coffee filter) and pour into a clean glass bottles. Store the liqueur in the freezer. Serve very chilled. You can adjust the sweetness to your particular taste buds. I didn’t start this soon enough to have ready for the holidays, but I may just gift some DIY kits. It must be very tasty! And lucky you having all the homegrown citrus. First you are very lucky to have your own lemons and second I so wish i could have a sip from that Limoncello! Wow, sounds like a great book! I just might have to pick up a copy. Can never have too many cocktail-related books! 🙂 And love the limoncello recipe — such good stuff, isn’t it? Fun post — thanks.